The by-election in Panaji and Valpoi constituencies would be held on August 23. Manohar Parrikar will tomorrow file his nomination from Panaji constituency for August 23 bypoll. Panaji: Goa Chief Minister Manohar Parrikar will tomorrow morning file his nomination from Panaji constituency for the August 23 bypoll. 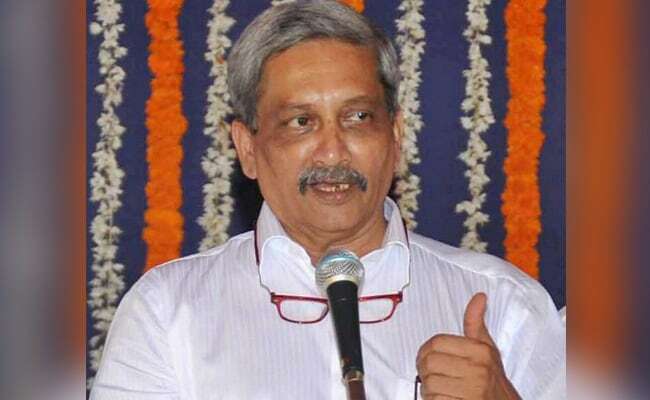 "Parrikar will visit the Mahalaxmi temple in the morning and then go to file his nomination," BJP leader Siddharth Kuncolienkar, who vacated his seat to make way for Mr Parrikar to contest in Panaji, told reporters. Mr Parrikar, who has been getting elected from this constituency since 1994, had resigned in the year 2015 to take over as Defence Minister in the Narendra Modi government. Mr Parrikar returned this year as Goa Chief Minister after BJP formed government in the coastal state with support of other parties. Mr Parrikar initially had a choice to contest either from Curchorem or Panaji constituency but chose the latter one, which has been his bastion.